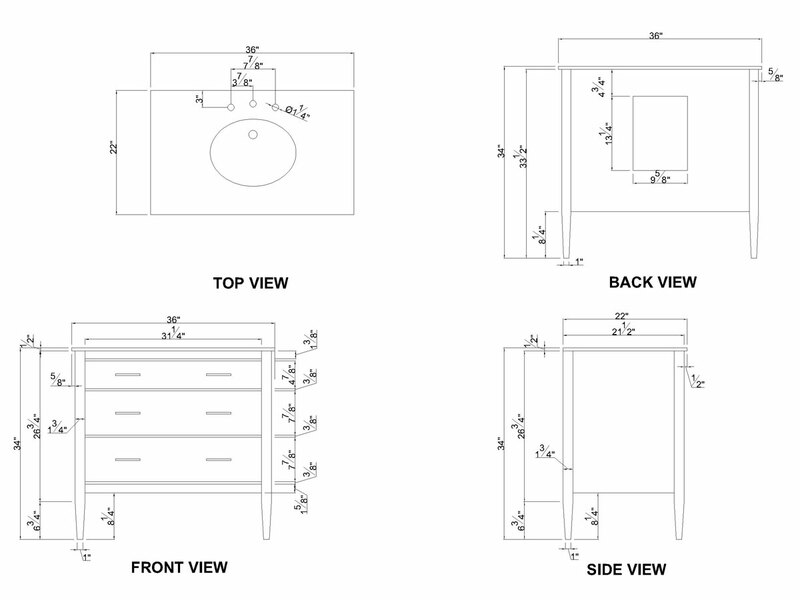 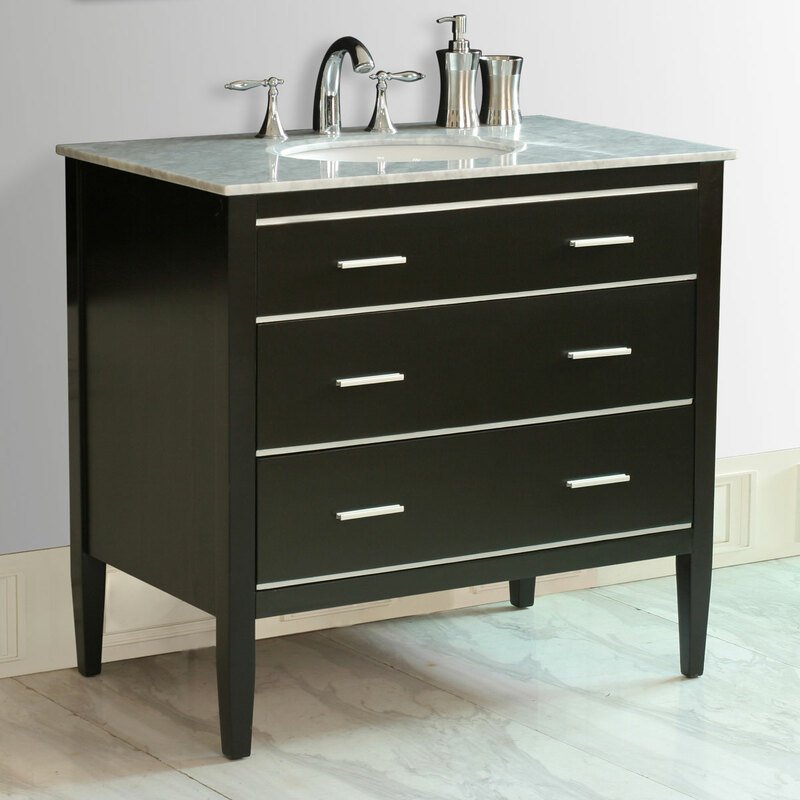 The sleek, modern 36" Ford Single Bath Vanity is striking in style, fresh and modern in design. 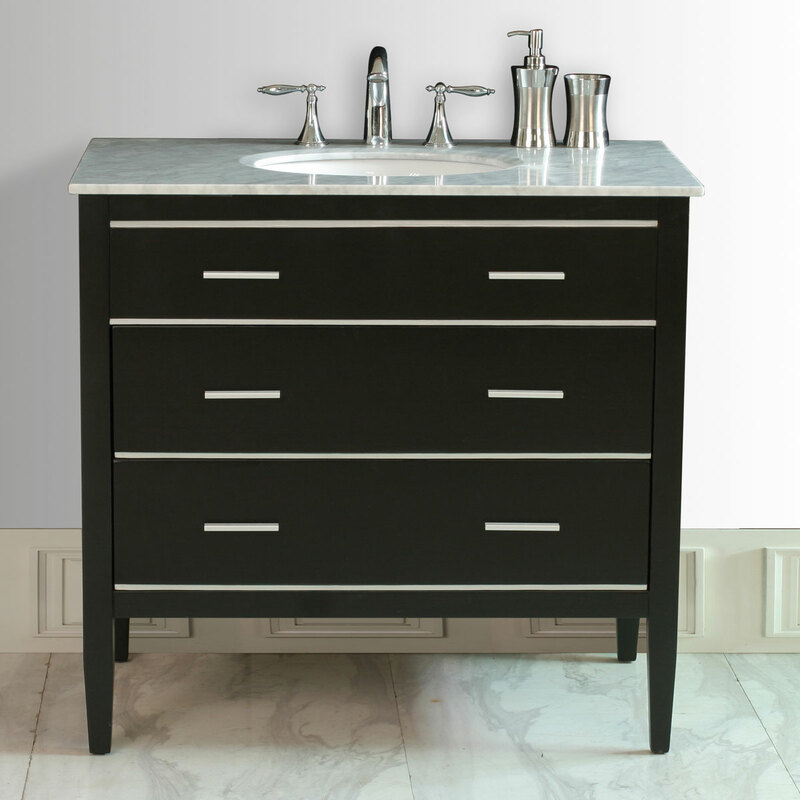 Its ebony finished cabinet is made from solid wood, offering a truly durable and long-lasting look that will not go out of style. 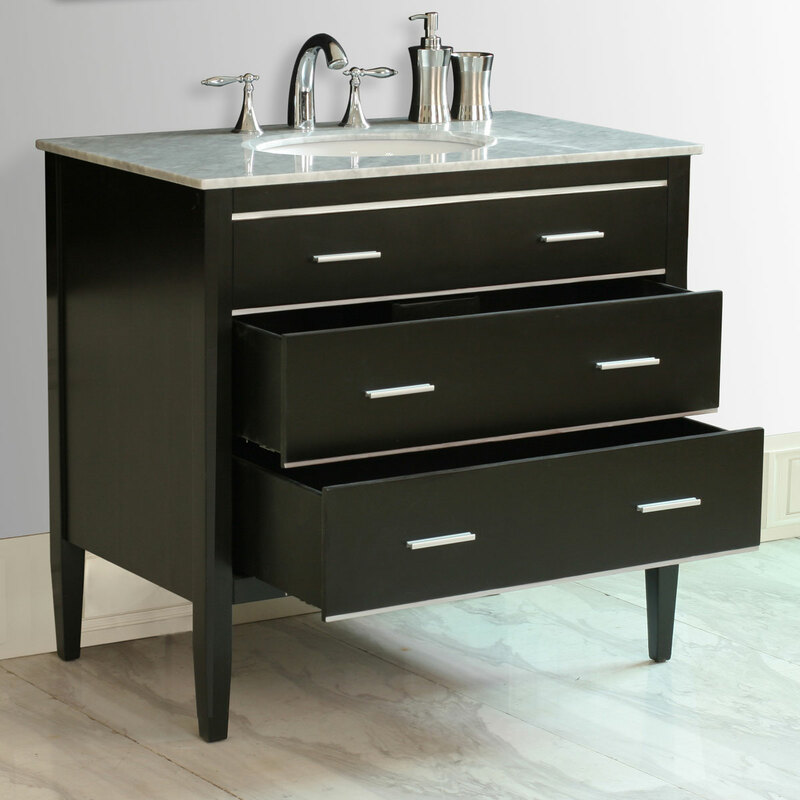 The Italian Carrera White Marble top makes a bold complement to the dark ebony, while bright aluminum hardware deck the 3 large drawer fronts that give you tons of space for storing towels and other bathroom essentials.